Allied Guard Services Inc Professional Uniformed Armed Security officers are trained to provide service to banks, office buildings, hospitals, shopping centers, private residence, hotels, apartment complex, restaurants and retail locations. This service also includes plant protection, which covers warehouse, industrial sites, construction sites and parking lots. 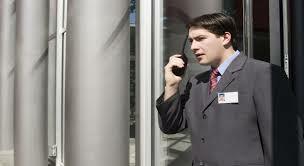 Our Uniformed Armed Security Officers are available with different uniforms that will suit your organization.